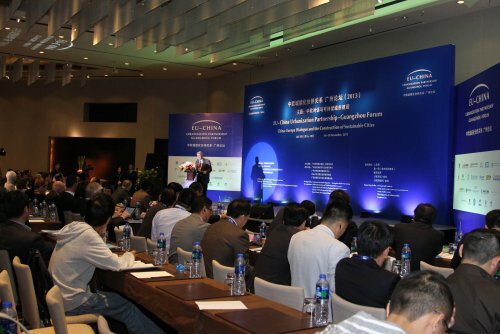 The EU-China Urbanisation Partnership-Guangzhou Forum (2013) was held on November 16-19 at the Grand Hyatt Hotel Guangzhou. 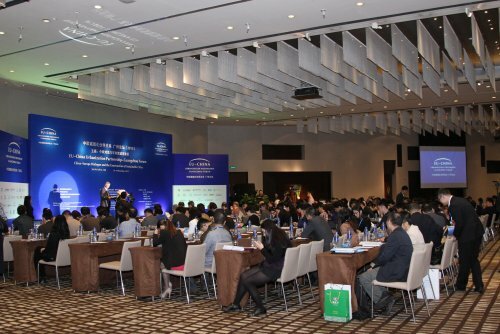 The forum was initiated and organized by the China-Europa Forum (CEF), China International Urbanisation Development Strategy Research Committee (CIUDSRC) and JunZeJun Law Offices, and with the support of the DG Energy of the European Commission. 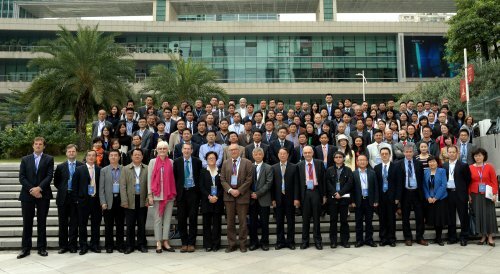 It was the first-ever CSO-led dialogue on Urbanisation since the establishment of the EU-China Urbanisation Partnership in 2012, bringing together more than 200 high-level officials, entrepreneurs, civil society representatives and players, practitioners and citizens involved in the process of urbanization from China and Europe. On November 16 a field trip was organised to the Dalang Community in Shenzhen where Chinese and European delegates witnessed the "Third Eight Hours of Young Migrant Workers" there, a true portrayal of new urbanisation and social construction in Shenzhen. Participants learned not only of achievements and challenges in the process, but also of local attempts at and exploration of innovation in social management. Over the following two days, participants had comprehensive, multi-dimensional dialogues and exchanges around the theme of “EU-China Dialogue and Construction of Sustainable Cities”, covering topics including Designing, Financing and Innovating Cities, Sustainable Cities and Societies, Ecological Environment and Sustainable Cities, Evolution of the Governance Model, Training and Communication, and Regional Development and Cooperation. On the morning of November 19 the prime movers of the workshops presented their conclusions to the Plenary Session and these were followed by a presentation of a synthesis of all the reports. The following development of China and the European Union will be decisive for the future of our planet. It is obvious that the existing economic model, which is a space for social consumption creating pollution, is threatening our planet. We face these challenges: how to develop the economic model throughout Europe, and how to further Chinese economic development. The European Union decided in its energy strategy to change its climate direction and to develop smart, green cities as goals. China has embarked on its 12th Five-Year Plan in the same directions. China has decided to reduce energy consumption, increase bio-energy and make a further effort to reduce CO2 emissions and poverty. So we can see that the Chinese and European partners are going in the same direction. That we can solve this ambitious policy only with the involvement of cities and regions is obvious. At least with the European Union I can tell you that all partnerships are undertaken by cities and regions. So we have to get involved in order to make progress with the ambitions of all regions and all leaders for the development of a better and sustainable world. China has paid a heavy price in its process of rapid development of economy, with excessive consumption of the natural resources and energies, causing serious pollution and damage to the environment. 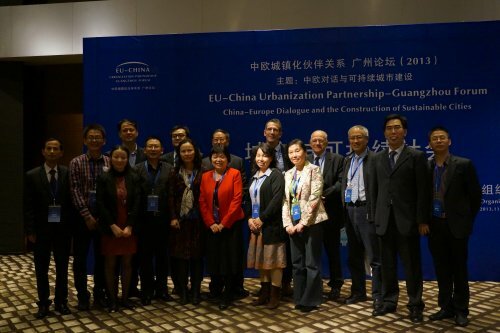 I hope that Chinese and European participants could take this opportunity to discuss how to respond to these challenges in urbanisation and to seek paths towards a sustainable future. As an extremely complex systematic mechanism, urbanisation involves various stakeholders in various fields. Starting from basic planning and design, investment, construction, up to the implementation of projects, the process of urbanisation – which can also be described as a procedure starting from the introduction of industry, the emergence of a community, up to public management and governance – implies the cooperation of numerous actors. This cooperation is subjected to a certain framework of legal norms and policies, and has to be specified in terms of deed. Therefore, the participation of lawyers is required. Being both responsible for designing the system, the pattern and the framework of urbanisation plans, and for ensuring the cooperation of all the actors involved, JunzeJun Law Offices are also deeply involved in the whole process of each urbanisation project. From a global perspective, the 20th century is regarded as an urbanisation-dominated century. China’s rapid urbanisation is currently joining the global tide. Looking at Europe, however, today’s world is at the point of a new transition. The pursuit of sustainable development, energy and ecological transition and the change of the development paradigm have not only become increasingly pressing issues but should also be brought into the basic concepts of human progress and development. The key to a sustainable future for coming generations lies in the sustainability of urbanisation development. The EU and China, however, have not reached a consensus on these fundamental issues and dialogues and cooperation between the two sides on urbanisation are therefore of great significance. 1. Beyond their differences, in their respective continents or between continents, cities and actors of urbanisation need to share a common topics and vision. As a network of local authorities specialised in energy issues, we have suggested the following motto: The Low Energy City with High Quality of Life for All. 2. Horizontal exchanges are absolutely necessary to improve our capacities to act. There is an enormous potential of experience, knowledge, successes and mistakes at local level in all cities and local authorities. This knowledge, based on practical experience, does not exist in any other place of decision making. 3. We need to change most our mind-sets and our habits to build a local sustainable future. Energy Cities has set up 30 proposals for the energy transition of cities and towns. These proposals are structured around five strategic axes: empowering local actors, knowing our territories’ resources and flows, rethinking finance in general, in a more local way; inventing new local governance to effectively involved society as a whole; and urban planning as a way of reducing energy use. Rapid economic growth and urbanisation has made the Pearl River Delta (PRD) one of the most dynamic areas of the world. Through development of urbanisation, however, the PRD has been facing a great number of challenges, such as ecological and environmental issues, management of the floating population and rural migrant workers, economic restructuring, public facilities supply and social security. Regional planning is an important measure in tackling these problems. Urbanisation in the PRD region is quite different from that of Western Counties. We have been able, however, to learn a lot from European experiences, including a more punctual and convenient public transport system, a higher density of subway and train systems, the role of civilian society in the process of urbanisation, policies of international and domestic migration, policies of environmental protection and treatment, education of the public, and urban and regional governance. China’s urbanisation has the following three prominent features. First, there is an extraordinarily large migrant population in the process of urbanisation, which makes peri-urbanisation a distinct phenomenon. China should take this seriously through a thorough reform of the household registration system and a focus on education for new citizens who have lived in rural areas before residing in the cities. Second, China must attach great importance to agricultural modernisation as a result of the stepped-up urbanisation. Third, urban and rural infrastructure should be strengthened not only in terms of planning and construction but in quality. There are two stages in the EU-China cooperation process on urbanisation. The objective of the first stage was to help the Chinese society to benefit from the diverse European experiences as the urbanisation in Europe took place long before the Chinese one. A new stage is now starting. Its objective is to learn from each other on the way for territories and cities to manage the systemic transition from unsustainable development to sustainable societies. Taking stock of the reflections of several European and international networks of local authorities, Pierre Calame summarized ten major issues for the transition: (1) a new vision of the world, the city and the territory; (2) the understanding of cities as eco-systems, the knowledge of their metabolism and the management of the flows; (3) the co-production of the public good and the mobilization of all the actors; (4) the relationship between sustainable territories and sustainable supply chains; (5) the energy transition strategies and the management of mobility; (6) a new conception of governance, with the focus on the management of relations between levels of governance, between sectors, between actors and the need of a comprehensive training program; (7) a new approach of strategic planning and of the conception of new developments; (8) an humanist approach of technology and the smart city; (9) co-responsibility of actors and co-production of knowledge; (10) appropriate financing tools. There were 14 key points, remarks and findings from the first workshop discussion of four hours. 1. Renewing cities or designing cities should not occur for financial or real-estate reasons. Rather, it should be on the one hand for current inhabitants and on the other for the inhabitants to come. The importance of the current and future population lies behind the technique. 2. In such urban operations a balance between the different stakeholders needs to be found - the public sector, the people and the private sector in combination with respect for the environment and other Millennium Development Goals. The public sector needs to be able to articulate between national, provincial and local levels. The public sector has targets and needs funds. The private sector needs profit, return on investment and to face the risks of failure, with a balance between the short and long terms. 1. The autonomy of local authorities is important. Indeed, local authorities are at the crossroads of national interests and people’s needs. 2. The environment is key to sustainable organisation but should not overshadow the needs of people. 3. The question of city metabolism can seem abstract unless you look at food supply chains, and also waste management. There is a need to reduce waste and to improve recycling and source separation. 4. Sustainable urbanisation is not only linked to health (air, water and food pollution) but also to the provision of healthcare facilities and access for the whole population, including vulnerable groups, to drinking water and health services. 5. The need to reduce the car dependency is necessary within the context of environmental protection as well as traffic congestion. 6. Links with the local economy (increase the housing/job ratio at neighbourhood level). 7. In large-scale financial investment situations, it is necessary to find a balance between economy, cultural heritage and the old and new. There is a need to balance culture and industrial heritage, as well as heritage and community investment. 8. The risk of ghost cities is important. In this context it is necessary to take into account parameters such as the lifespan of buildings, connections, the local economy and marketing in order to avoid empty cities. 9. Public Private Partnerships are developing in China. In Europe, according to the participants, the key would lie not only in the proposals but also in the implementation. 10. The Integrated approach: cities cannot be built solely by engineers but also need the involvement of planners, architects, sociologists, economists, people without qualifications, artists and creative people as innovation would not occur without creativity. 11. Local debts can threaten the economy. Speculation concerning public and local debts can be a threat. However, this does not mean that public, social, health and cultural services should not be developed at local level. 12. The impact of the economic crisis in Europe has slowed local public investment. In conclusion, there is no recipe for designing liveable cities, but the workshop has opened a great deal of space for dialogue. It confirms that cooperation is not easy and remains a collective challenge. The key messages of workshop presentations were: 1. If you invest in a really durable urban structure you will benefit for generations to come because the urban structure will be able to adapt to changes while still retaining its basic quality. 2. We must bring producers and consumers more closely together so as to increase the added value for farmers. The key issue to focus on is raising awareness through the education of citizens and introducing incentives to guide these developments. 3. 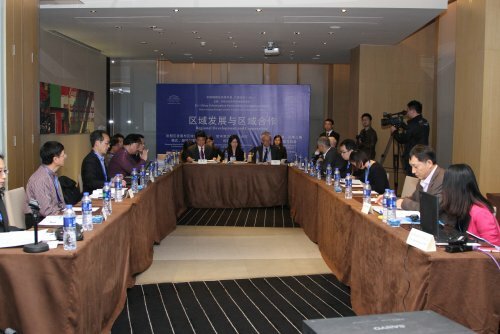 There was a debate that has already been mentioned on how to reconcile heritage with new development, and how to ensure that the old cities will also have a role in the future of China’s urbanisation. 4. The compact city model could turn out to be a very suitable guideline for future urbanisation, especially because China is also already moving from a manufacturing economy to a higher-end, service-oriented economy. 5. Beware of vested interests and limitations through current land-use policy and tax regulations. Recommendations for future Europe-China exchanges: 1. The entire debate on continuity and transformation - how to reconcile the old and the new. 2. Next time there should be more in-depth discussions on specifics or more time spent on specific topics; i.e. CBD and smart grids etc. 3. There was also a good suggestion about focusing on second-tier Chinese cities rather than a large metropolis in order to prevent future mistakes and also for the application of lessons learned. 4. In-depth exchange on land-use policies and reform (key guiding principle for current Chinese urbanisation). 5. Urbanisation for a future innovation economy (transition from industrial to services based economy; requires compact, sustainable urban models). We identified four main things which had come through the discussions over the two days. 1. How to provide and pay for smart public services. 2. How to provide these services: The key question in both China and Europe about how to integrate migrants and also their families in the city. 3. How to encourage citizen participation in order to generate smart services: This is important for a continual renewal. We need compact cities and to avoid sprawling cities, we need to renew the parts of a city that are out-dated. But how we can keep the citizens and build trust with the citizens in that process is a central question. There are many examples of cities in Europe that are successfully doing this and also examples of other catastrophically failing to do so. We could learn from both good and bad examples and in China there are many challenges in this regard. 4. How to support social enterprise and strengthen civil society organisations to deliver these new kinds of services: there are all sorts of questions here ranging from how they can be financed with new forms of social finance which are beginning to emerge in various part of the world, how we can incubate these new organisations and help them to grow, and how they can become more self-sustaining both financially and operationally. We discussed the priority for the joint-working between Chinese and European counterparts. We propose the establishment of a seven-member team, comprising CSO representatives from both sides, to initiate a smart-service-based area. Mr Mariani presented the common needs, opportunities and challenges to face together in the coming years. We need more scientific cooperation in terms of basic research and fundamental research. We need to find some common tools such as platform, networking, in order to share and disseminate the results of research. We need more opportunities and the China-Europa Forum is one of the best places. It should be the ideal place to share and to create dialogue between civil societies. Increasing mutual understanding is very important. The European side needs to be more pragmatic, more concrete as the Chinese people are, and not lose ourselves in theory in order to really be able to address propositions from our respective governments. Another point raised during the three sessions is the bottom-up approach from the grassroots level: we need to be concrete in our propositions. The last need is for a common framework such as that we already have in Europe, for research and environmental issues such as water management, waste management, and atmospheric pollution. Citizenship should be considered as central in order to shift the paradigm in cities. We need to organise more inter-generational events; we need to share between the generations, as young people are the future of our world. We should again use the platform of the China-Europa Forum to launch business cooperation as well. We need to start cooperation with business counterparts. In July this year China created a concrete engagement in the ‘eco-civilisation’ project within the framework of the ‘beautiful China Project’. This should also be another big opportunity for cooperation between China and Europe. One of the common challenges is mutual recognition in the field of intellectual property - we are talking about knowledge transfer between businesses, between economic actors, but we also need to process real rules and recognition of intellectual property. Another point is to create standards using a common metric system to evaluate sustainability of the city. My first idea to share was: How to move from centralised governance models and top-down processes towards collaborative models of governance involving all citizens and reinforcing partnership between academics, civil society, private sector and the authorities. In the second session, we underlined that technology is important for linking all these sectors and people but is not a goal in itself but more something in order to reach the final goal of implementing well-being for people. We also talked about a learning environment in which different stakeholders share information and teach each other. My second idea is the need to define more precisely some concepts that are used by both China and Europe, in international meetings for example “smart city” and “green”. There is a real need to define, by exchanging views, what lies behind these general concepts and if there are concrete examples of implementation of these concepts. The last idea was the fact that there is currently no perfect model of sustainable cities in either Europe or China. There are a lot of experiments that are very interesting and there are a lot of alternatives that are being experimented by communities or local authorities, and also by companies. There is a challenge to interconnect all these experiments and to make them available to a large public. The differences between EU and Chinese urbanisation are obvious. For China, the world’s largest developing country, urbanisation is mainly about tackling issues such as urban infrastructure construction. There is still a large gap between China and the EU in adaptation to an innovative and sustainable institution, construction of the rule of law to protect citizens’ rights and interests, market regulation and public participation in the public policy-making process. By contrast, European countries are building upon a well-developed infrastructure to develop a more diverse and hospitable environment which can meet multiple individual needs. The core objective of European urbanisation is to provide urban residents with more liveable and favourable surroundings for living, entertainment and growing-up. It is crucial to have the engagement of urban residents in urbanisation, including the decision-making process and construction itself. China is advancing in urbanisation. A better life and greater well-being for the people is the basic goal of governance. The concept of sustainable development should not only be delivered to governments, but to society as a whole. In addition we should seek effective training methods in the urbanisation process to develop qualified citizens and appropriate institutions. We need to create a more promising future for the coming generations. Participants agreed that we faced a common challenge but that we have to be aware of and not ignore the differences between China and Europe. This has to be put on the table, as do the differences in operating methods. Although the scale is definitely not the same in many ways our cities face the same problems. They are at the centre of today’s problems and they are also at the heart of the solution. Everyone also agreed that local authority leaders are the ones to gather all the stakeholders, public leaders, state leaders and local leaders business and civilian society together. Public leaders, especially local authority leaders, owe to the citizens fairness between generations, between the different neighbourhoods of our cities, between rural and urban areas, and efficiency especially focusing on innovation and gathering all stakeholders together. First: Build an understanding with public actors, civil society and business actors in order to accept that it is not only a problem of transfer of capital, of technology, but that together we have to change the vision and the mind-set. Second: Strengthening cooperation between China and Europe also means changing the way we see cooperation. Cooperation between Europe and China is not what we call North - South cooperation. It is something that goes beyond the idea of attracting capital to sustainable development sectors, and is also a process of common innovation and changing governance. 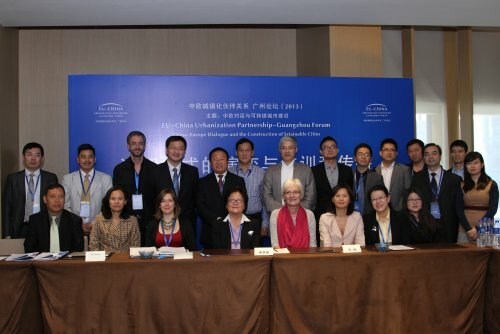 Finally: Strengthen cooperation by using our China-Europa Forum to build a dialogue with all the stakeholders of both China and Europe involved in sustainable development and provide a database of case studies. We still have to invent a model of comprehensive partnership for the Forum that would go beyond a sole annual meeting, by building the community process that we need if we wish to move forward with our cooperation. In China, however, the role of CSOs in promoting social change is still limited. It is imperative that the next step is the training of government officials and those who are in a position to dominate public resources. We should integrate them into our dialogues and exchanges, providing them with the wealth of European experiences and lessons in their urbanisation development. The biggest difference between China and the EU, which is also crucial, lies in respect for people, understanding of the living environment and pubic engagement. There are a lot of things for China to learn from in this regard. Fourth, we recommend the set-up of a real EU-China cooperation platform in Guangzhou and its surroundings. On behalf of the Chinese experts of the five workshops, Mr CAI presented the summary report. 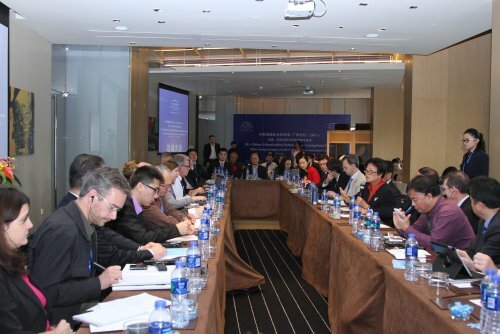 “We reached the following consensus: First, both sides believed that the non-governmental exchanges and cooperation between China and EU advocated in the Guangzhou Forum have played a positive role in promoting the EU-China Urbanisation Partnership. Second, it is agreed that the Partnership is an important means towards joint progress and a better future for China and the EU countries. 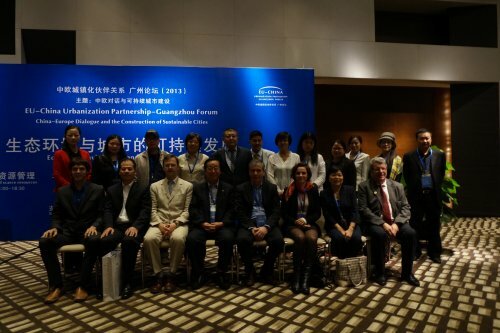 A range of critical topics covered by the Guangzhou Forum will lay a solid foundation for the implementation of the Partnership, and for the development of the Guangzhou Forum as an indispensable society-to-society platform in EU-China urbanisation cooperation. Third, it is of great importance for the two sides to strengthen the cooperation in urban construction and cultural cities, which is based on the principle of mutual respect and seeking common ground. Fourth, both sides are willing to develop and deepen multi-dimensional collaboration. Fifth, both sides recognise that the purpose of the Partnership is to tackle the common challenges faced by China and Europe, and even the world. Sixth, the prospects for world economic recovery are still gloomy and China is also facing the pressures of economic restructuring and inflation. 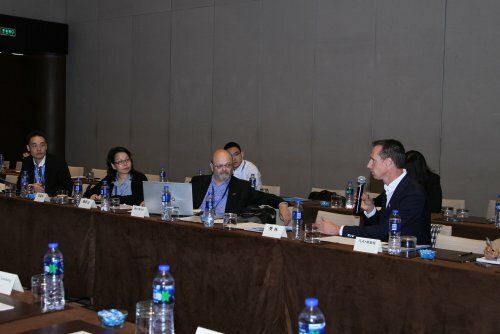 Aiming at the promotion of society-to-society exchanges and cooperation, the Guangzhou Forum is of great significance in facilitating moving the Partnership towards a sound sustainable development. 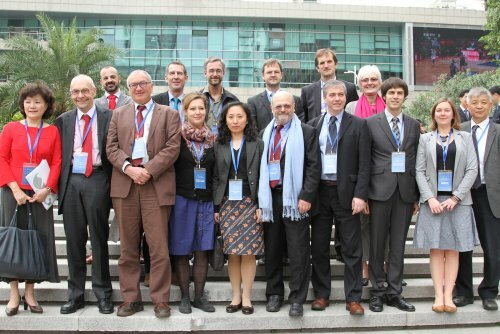 Finally, we appeal to both sides to take concrete action to continue and enhance this promising process setting sail from the Guangzhou Forum, moving the consensus reached by Chinese and European participants into concrete results and thus establishing a long-term, society-to-society dialogue mechanism between the EU and China on urbanisation. I propose to set up an EU-China Urbanisation Partnership Alliance which will function as a sustained, long-term and stable mechanism for EU-China dialogues and cooperation on urbanisation by connecting European and Chinese experts and academics, government officials, CSO activists and entrepreneurs. Six conclusions made by Pierre CALAME: 1. The focus of our cooperation must be the transition towards sustainable cities. 2. Although our situations are different (in Europe transform existing cities towards sustainability, in China create sustainable cities), China and Europe are on an equal footing as regards this common challenge. 3. Transition is a global process with many dimensions which must be addressed simultaneously and which range from conceptual and mind-set shift to practical solutions. 4. Transition is a multi-stakeholder process and all stakeholders have to be involved in China-Europe cooperation. 5. We need to create flexible mechanisms to help new partnerships emerge and a clearing house to connect possible partners and reduce the transaction costs of new cooperation. 6. We need to alter phases of in-depth dialogue on focused issues and sharing the common lessons from these different prospects.